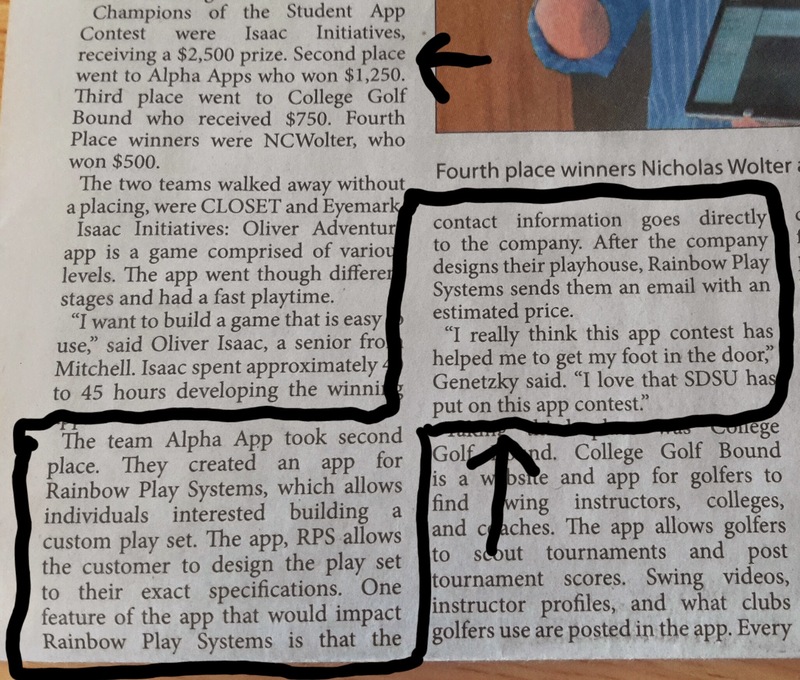 At the beginning of fall semester I heard about a contest SDSU was putting on for android app development. I was the first student to the meeting and I was surrounded with companies that wanted apps developed; as I talked to companies about what they wanted I would offer suggestions of how I could achieve their goals. I am now working on developing an app for Rainbow Play Systems, a nation wide company that is centered in the Midwest. I formed a team of approximately 5 students and I created and delegated tasks. On the other hand I met with the company and tried to formalize the design constraints. Rainbow Play allows you or your kids to design a unique playground. The menus include graphics so that it is easy to see what you are adding to your own personal playground. The app allows you to send a detailed report via email to Rainbow Play Systems so that you can receive information to help you with your purchase. The website provides additional information and resources for Rainbow Play Systems.